The Witching Hour is the time of day when the veil is the thinnest, allowing humanity a greater ability to sense the spiritual realm. Some references point to 1535 when the Catholic Church laid down rules prohibiting activity during the window between 3-4 AM due to fears about witchcraft. Anyway is there any truth to this Concept? 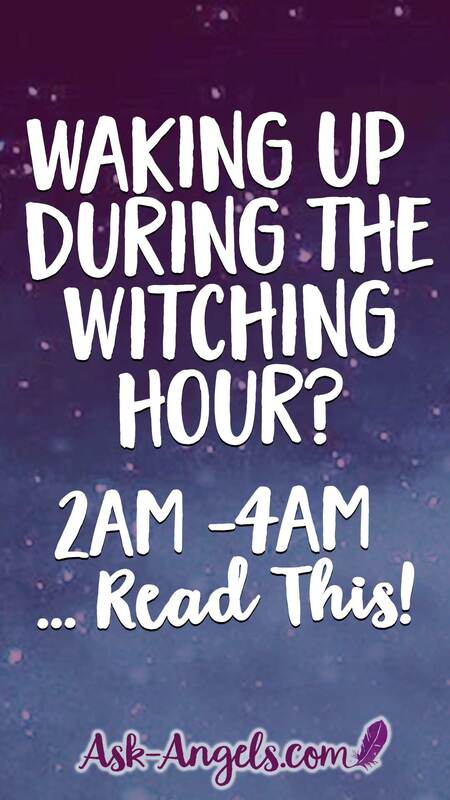 Is The Witching Hour a real thing? In my perspective, yes! But not necessarily in the way Wikipedia portrays it. Because the truth is that there isn’t a particular time of day (or night) when the spiritual realm is more active than any other. Spiritual beings are always active! In every moment, whether you’re aware of it or not… There is so much activity happening just beyond the veil of normal physical perception, in the realm of Spirit. 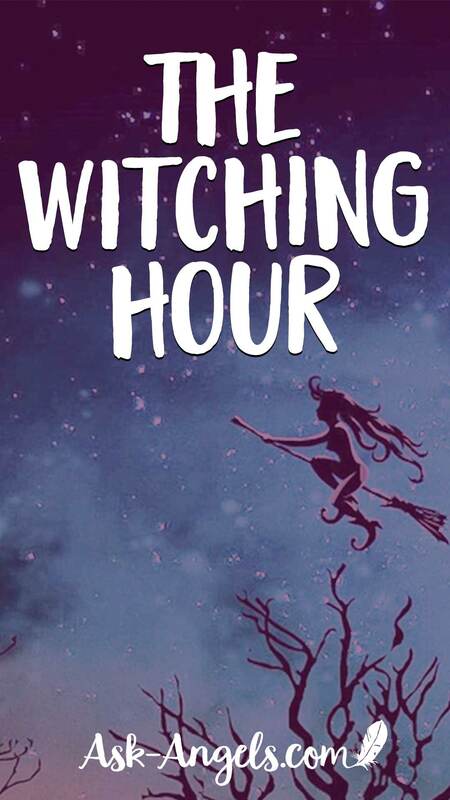 So What Is The Witching Hour Really? The Witching Hour is the time of day when humanity has the potential to become more aware of the activity happening beyond the veil, in the spiritual realm. While the name implies it’s a specific hour… It’s actually the period of time between the end of the night, and the beginning of a new day. It’s the liminal space between night and day when the veil is especially thin, sometime between 2:00 AM and 4:00 AM local time. This is a time when the majority of people are sleeping. There is literally less interference from the conscious mental activity of other people, and quite simply… Its quieter out! Because so many people are sleeping, it’s also a time when electronic activity is decreased. So when you’re less bombarded by electronic frequencies, and your surroundings are naturally quieter and more peaceful, it becomes easier to sense the subtle energies of the spirit realm! Waking Up During the Witching Hour? An interesting phenomenon is that many people regularly wake up at 3 AM (or sometime around there)… Right in the middle of the witching hour! If this is you, don't worry! This is not a bad thing, and honestly may happen for a whole variety of reasons… Including your guides and guardian angels reaching out with blessings and to connect with you! My advice is this… If you do find yourself awake during The Witching Hour… See it as a blessing! You now know that the veil is thin during the wee morning hours, and the spiritual realms are incredibly accessible! Become aware of your thoughts and emotions… And stabilize them! Return to a state of present moment awareness… Being conscious of yourself in the here and now. Then, take a few deep breaths and consciously calling forth love and light all around you. That in this moment now, you can become aware of and consciously perceive. Relax, breathe, and enjoy the magic! If i play some religious sound n prayers of do some chants… I’m going relaxed .. I feel someone come and tried to make me feel fear.. I wake up between 2am and 4am every morning and just as you stated, locally the frequencies of conciousness and electronics are quieter, because for me, I’m extremely sensitive to them. Waking up this early helps me get a lot done around the house, along with my mind and spiritual connections and cleansing before the family wakes up and the hustle and bustle of the day begins. I do sometimes remember and write down my dreams in a journal and I dream very vividly, I remember details and colors, but I don’t know how to interpret my dreams but I want to learn! Can you help me, please?